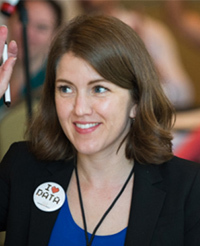 Cara Jackson is an associate partner with Bellwether Education Partners, focusing on issues related to evaluation, research design, and quantitative data analysis. Prior to joining Bellwether Education Partners, she was an evaluation specialist in Applied Research in Montgomery County Public School’s Office of Shared Accountability, where she designed studies to inform district policies and conducted research on a variety of educational initiatives. Cara also worked as the Assistant Director of Research and Evaluation at Urban Teachers, a residency-based teacher preparation program, and a Strategic Data Project fellow through the Center for Education Policy Research. Cara has experience as a classroom teacher in the Bronx and as a policy analyst at the U.S. Government Accountability Office. She received her doctorate in education policy at the University of Maryland in 2014.